We have all been there. Trying to relax in the shower when you look down a notice a stream of water flowing down the wall from your shower faucet handle. How long has this been going on unnoticed? How much money will this cost to fix? Has any damage already occurred? Do I really need a plumber? 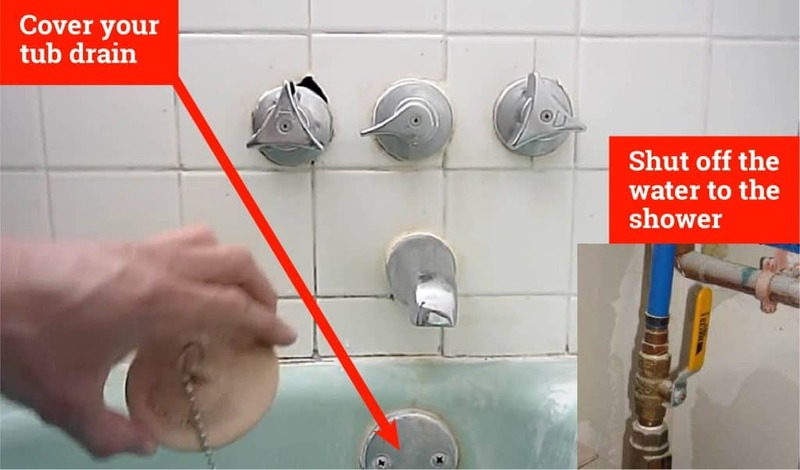 A leaking shower faucet can cause a plethora of issues for you and your home! 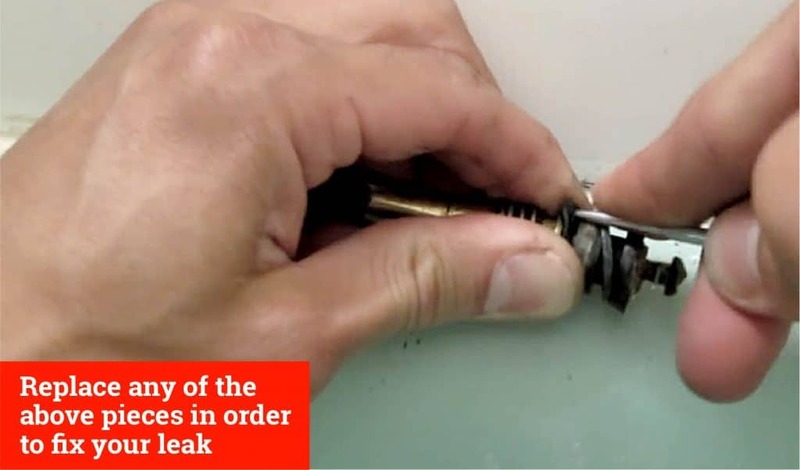 This is How To Fix A Leaky Two Handle Shower Faucet: Easy ways to fix a leaky shower faucet. 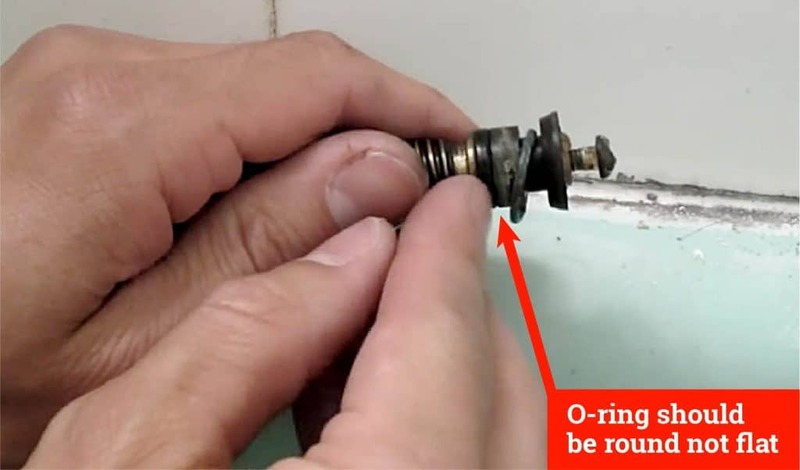 You can simply change the faucet valve washer or o-ring. Replace the necessary pieces, clean the area, and put it back together! 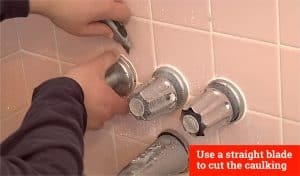 This simple, easy to do process should fix any two handle shower faucet. We want to help you stop the leaking from occurring and prevent if from happening in the future. 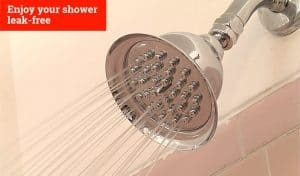 Instead of grabbing the phone book and calling up your local plumber, you came here to find ways to fix a leaky two handle shower faucet yourself! Start by turning off the water supply, just to be safe and to keep you dry! 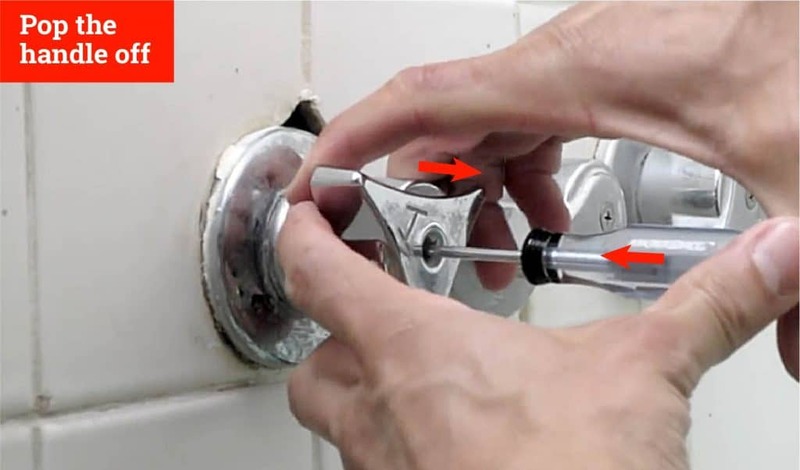 Once the knob is removed, use a straight blade to cut through the caulking connecting the handle to the wall and use your hand to pull it off. 1. 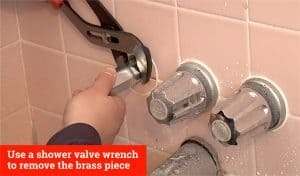 Use a shower valve wrench to remove the next brass piece. This tool usually comes in a set, so you may have to use trial by error to determine which size you will need to use. 2. You may not be able to twist it enough with your hand, so you will want to have a wrench nearby, just in case. 1. At the end of the brass piece, there should be a washer and screw that you will want to replace. If there is not one, you have found the cause of the leak as the washers can erode over time! 2. 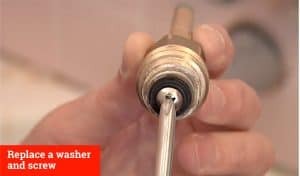 Although it is now common practice for plumbers to install a washer behind the shower faucet, that has not always been the case. Overtime, the initial seal will lose its ability to function correctly and you will need to install a washer. 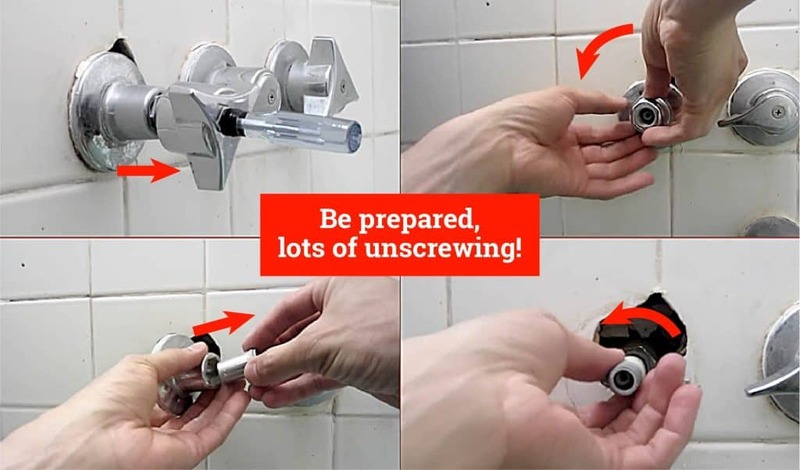 Once you have screwed in the new washer, it is time to put all the pieces back into place and enjoy your shower leak-free! 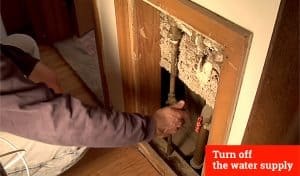 Of course, it is best to go ahead and test your skills by turning the water on now to ensure no leaks, while you still have all your tools handy! 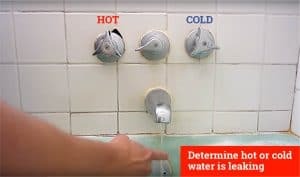 Start by determining if the water leaking out of the faucet is hot or cold. 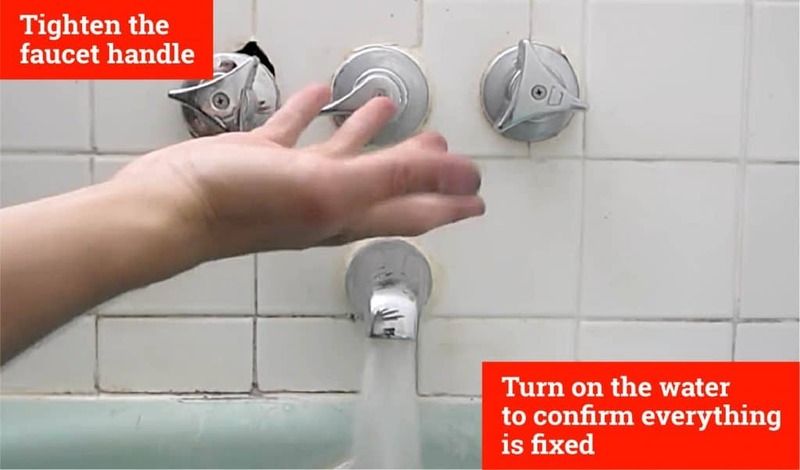 This will let you know which faucet handle is behind the problem, if you do not already know. 1. Go ahead and shut off the water to the shower, you can never be too careful and want to stay dry while you work! 2. Also shut or cover your tub drain, as you don’t want to lose anything down it! 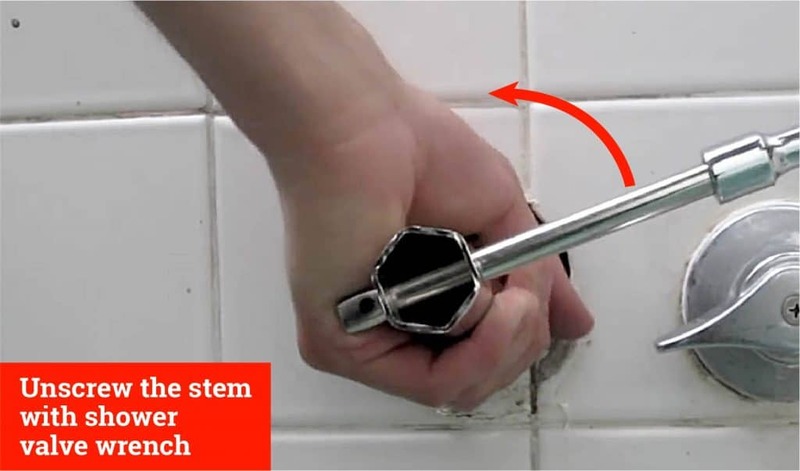 You may also need a faucet handle remover to pop the handle off once the screw is gone. 1. Remove the base of the handle by breaking the caulk seal and unscrew the sleeve from the stem and the outer part of the stem. 2. Be prepared, lots of unscrewing! 1. 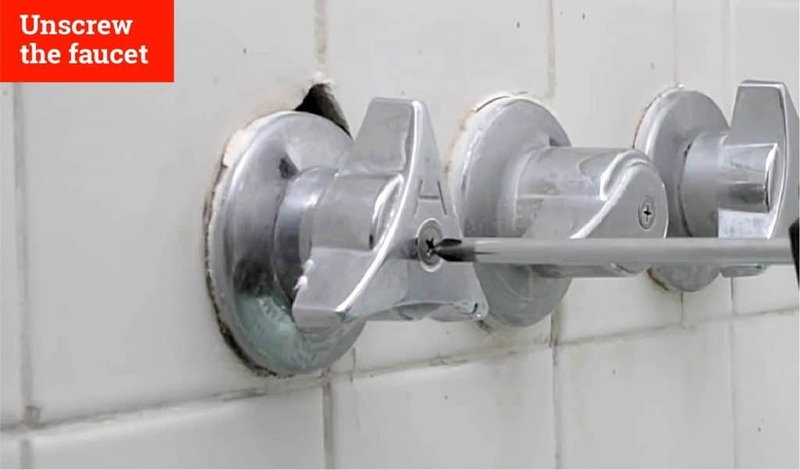 Grab your shower valve wrench, use trial and error to find the right size if necessary, and (you guessed it) unscrew the stem. 2. 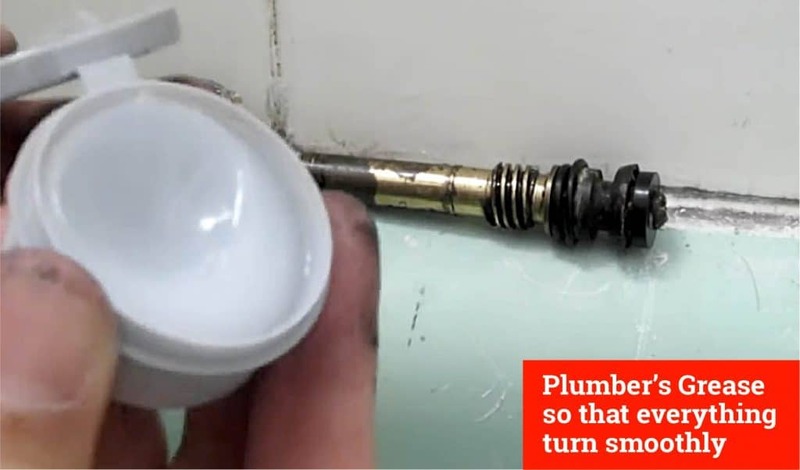 When you get it out, you will want to look it over for issues including the washer, the metal piece itself, and an o-ring (should be round not flat). You will notice a defective part just by looking at it. You can replace any of the above pieces in order to fix your leak! Note that you may only NEED to replace one piece, but while you have it dismantled, it is a good idea to replace all that you can. 2. You may also want to use Thread Sealant if you are concerned about getting a solid seal. 1. Follow the above steps in reverse to put all the pieces back together. Tighten the faucet handle to the off position and turn on the water to confirm that you have fixed your leaky two handle faucet! 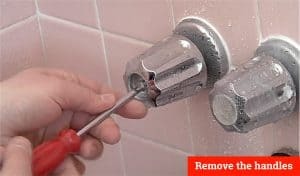 Regardless of the brand name on your shower faucet, anytime it leaks you will need to do one of the above methods to replace any old parts. If you have lived in your house for several years and never had any issues, that’s great! But due to how much damage a leaky two handle shower faucet can cause, it is always good to be proactive and keep an eye on your plumbing. Remember that even if only one faucet handle is leaking, it is a good idea to go ahead and check the other faucet handle. Think about it. They were both installed at the same time and if one handle was missing a washer or was having issues with one or more parts, it is only a matter of time before the other one starts to have issues too!